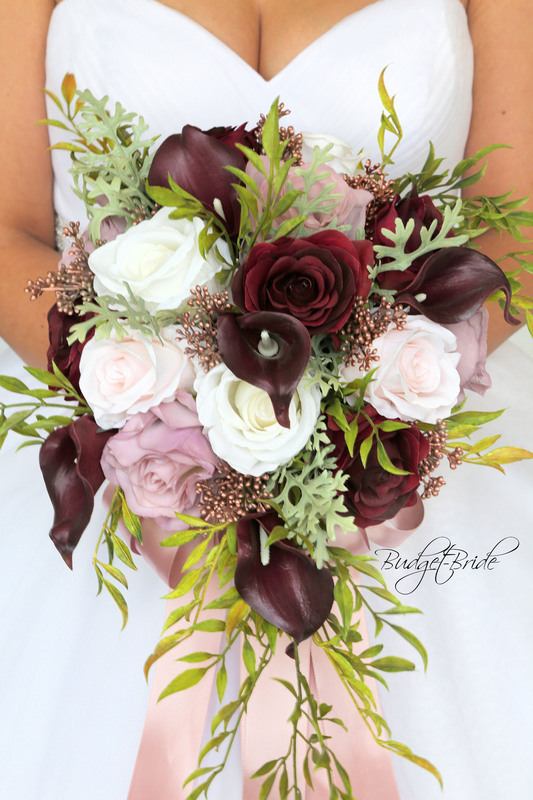 This matching bouquet is an 10 inch hand held bouquet with wine, ivory, blush and ballet pink roses accented with wine calla lilies, foliage, rose gold berries and a large bow in Ballet Pink. 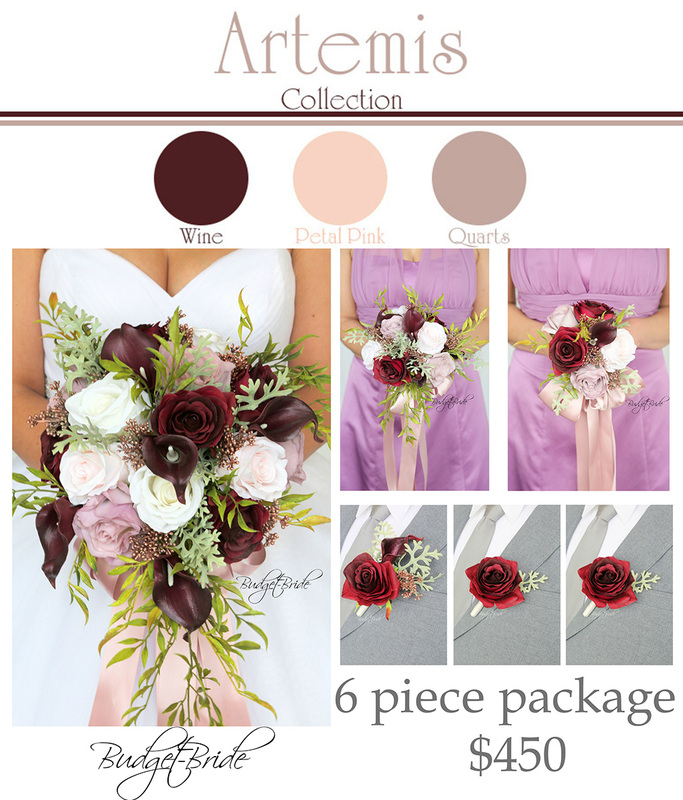 This matching bouquet is a 8 inch bouquet with wine, ivory, blush and ballet pink roses accented with wine calla lilies, foliage, rose gold berries and a large bow in Ballet Pink. 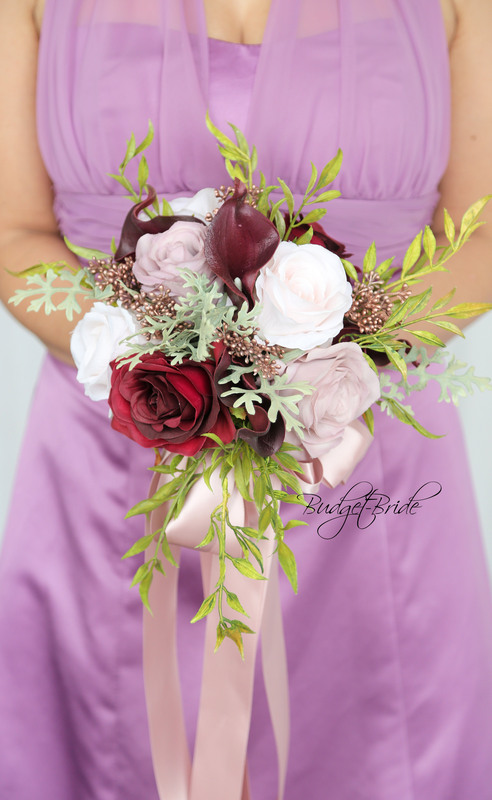 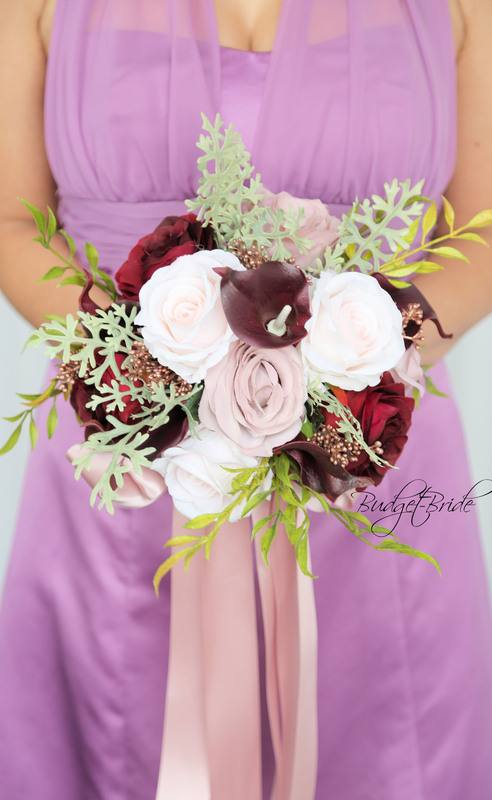 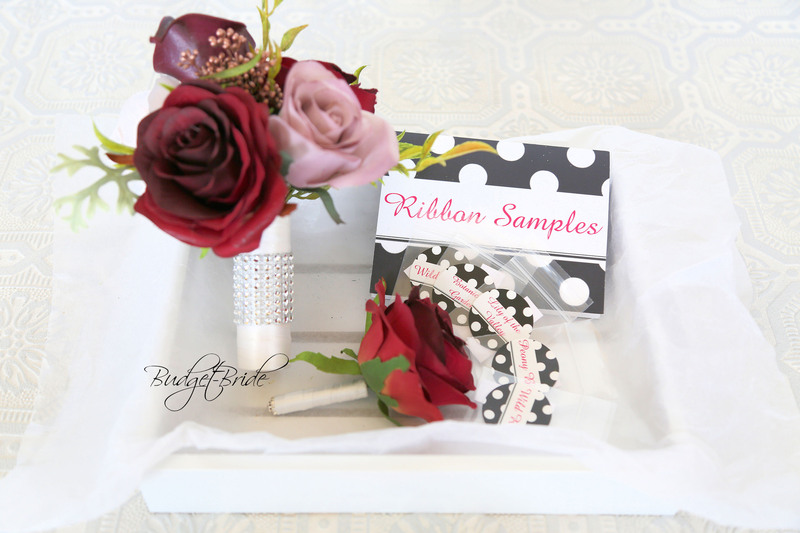 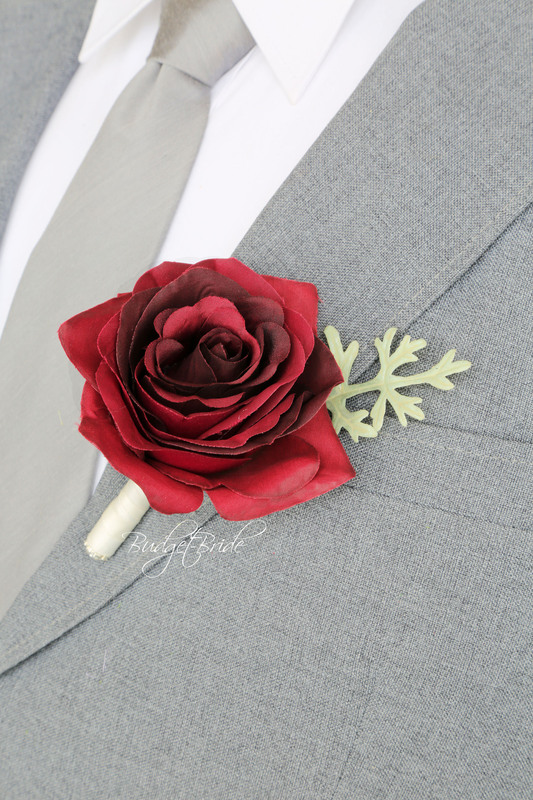 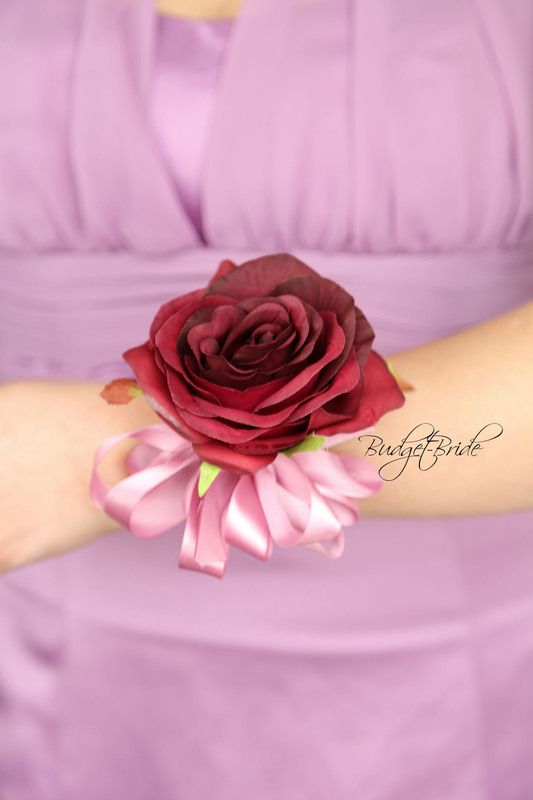 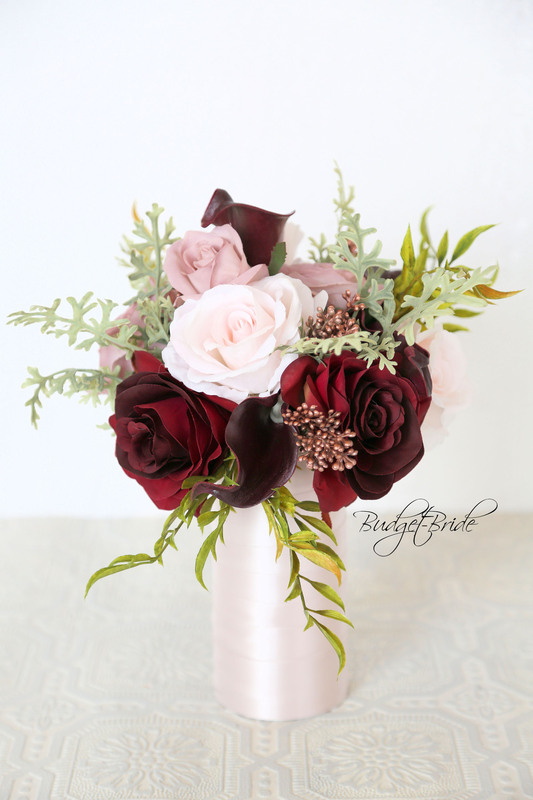 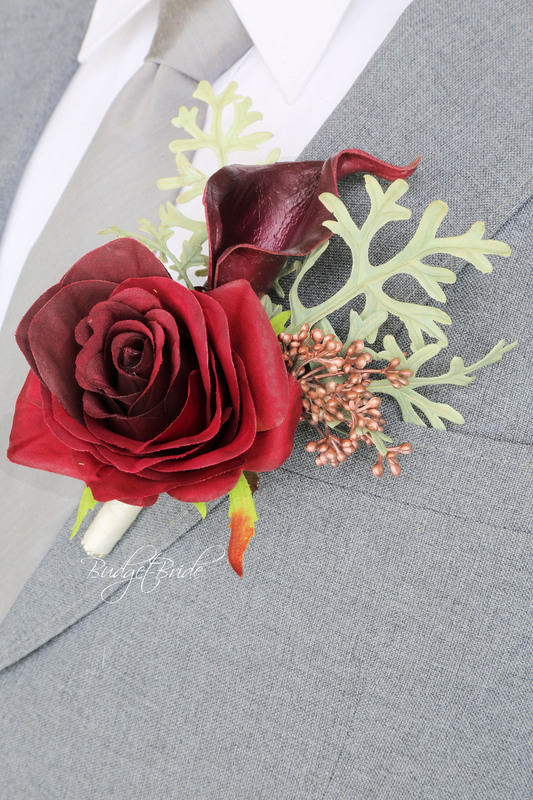 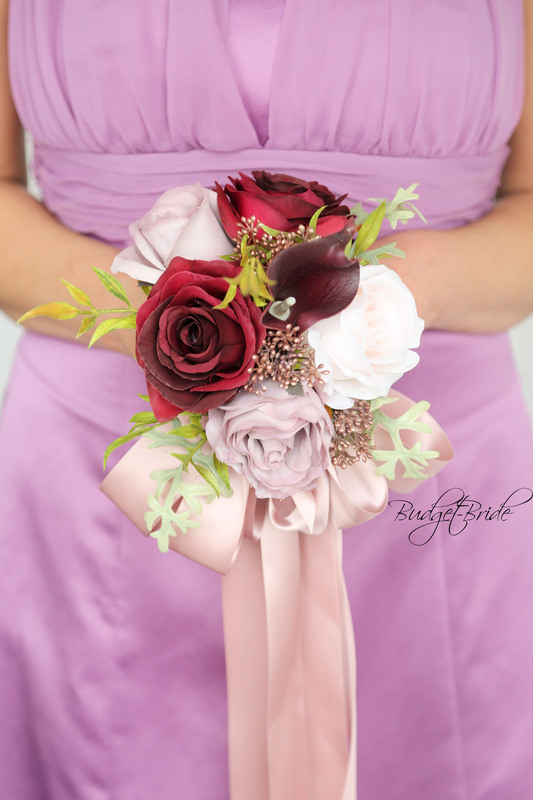 This matching bouquet is a 4 inch bouquet is made with wine, ivory, blush and ballet pink roses accented with wine calla lilies, foliage, rose gold berries and a large bow in Ballet Pink.